Used in Food Processing industry, for packing Jams, Pickles, Sauces, Pastes, Olives, etc., these Lug Caps are available in various sizes. Moreover, these Lug Caps are appreciated by the customers for their strength and durability. 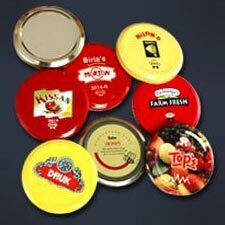 We are among the reliable Manufacturers, Suppliers and Exporters of the Lug Caps. Availability : Twist Off or Lug Caps in size 53mm, 63mm and 82mm size.